If you're a fan of Taiwanese cuisine and flavors--or want to sample some--its hard to beat this restaurant, whose cooking captures the flavors of this island with fresh, reasonably-priced seafood and meat dishes. Chef Ah-Hao (Liu Shih-hao) has 20 years of cooking experience and perfectly captures the soul and tastes of Taiwanese dining. 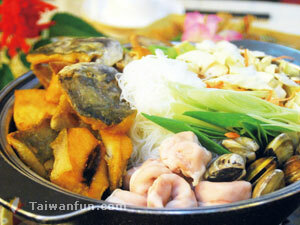 For example, he stir-fries ingredients such as garlic, mushrooms, taro, and pomfret fish in a pot to make the traditional Pomfret Vermicelli Casserole (NT$900, serves 4-5 people). The chewy vermicelli absorbs the taro-flavored soup and the flavorful layers of this delicacy make it a customer favorite. 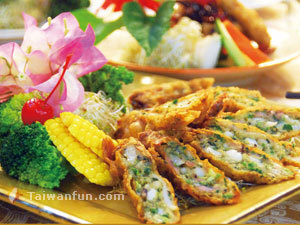 Succulent deep-fried white eels, topped with scallions, ginger, garlic, chilies and black vinegar, are transformed into another Taiwanese classic, Sour and Savory Eel (NT$300). 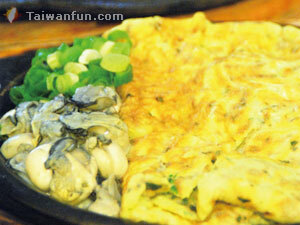 An authentic coastal community dish, Teppanyaki-Style Oyster Omelet (NT$250) is prepared with the flavors of Taixi township, thanks to a combination of juicy oysters and pan-fried eggs. 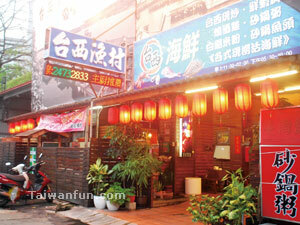 Finally, when dining at a local Taiwanese seafood eatery, you cannot miss limited-quantity salty, flavorful goose meat. In addition, the restaurant serves elegant banquet-style meals (NT$4000/table) and other reasonably-priced stir-fried dishes made with fresh ingredients. These well-made local culinary specialties, combined with another key ingredient--warm, Taiwanese-style hospitality--make this a great place to dine with family and friends.